Ok, ok, we might be Superbike but we can’t not talk about Indian’s FTR1200. Chatter at Intermot was almost universally dominated by this bike so we’re saving the best of our Intermot coverage ’til last. Suzuki’s Katana? New Scrambler colours? Sure. A flat-track inspired upright naked with 120HP, more torque than a train, a chain drive, upside down forks and a TFT screen? Um… yes please. This thing appears to be the dogs dangly bits. We saw the concept in 2017, and the production model appears to be barely changed. 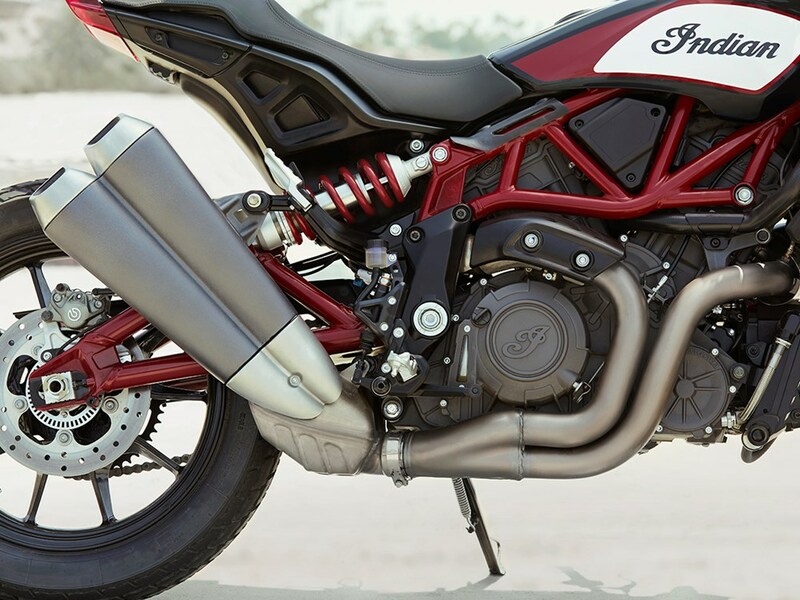 The 1200cc v-twin promises 115NM of torque (85 lb-ft in old money), has high-flow cylinder heads, dual throttle bodies, magnesium bits for lightness and a low inertia crankshaft. In John’s words, it sounds dangerous… the good kind of dangerous. But it’s not your typical American lump of iron. Upside down forks, a chain final drive, Brembo radial anchors, fully-frigging-adjustable suspension (front and back), lean angle sensitive traction control and cornering ABS, wheelie control AND power modes. It’s even going to come in an A2 license-friendly version. Indian clearly doesn’t want to be lumped in with the folks from Wisconsin, and with this kind of spec, it won’t be. 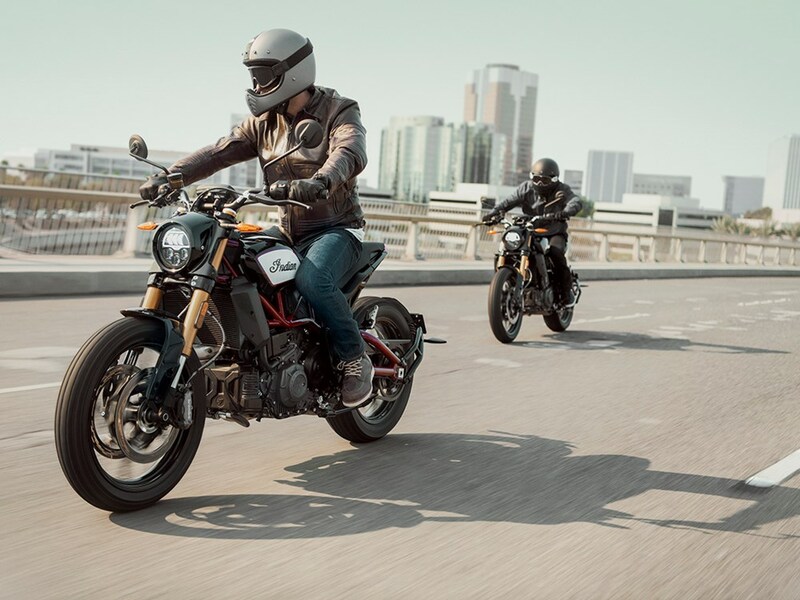 And it’s probably exactly why Harley are diversifying into adventure bikes, proper Streetfighters and electric bikes. Good on them, too. Price? It’s gotta be around £15k base, we reckon, and there’ll be two versions (plus an A2 license spec version): S and standard. Anyway, we can’t wait to ride this thing. 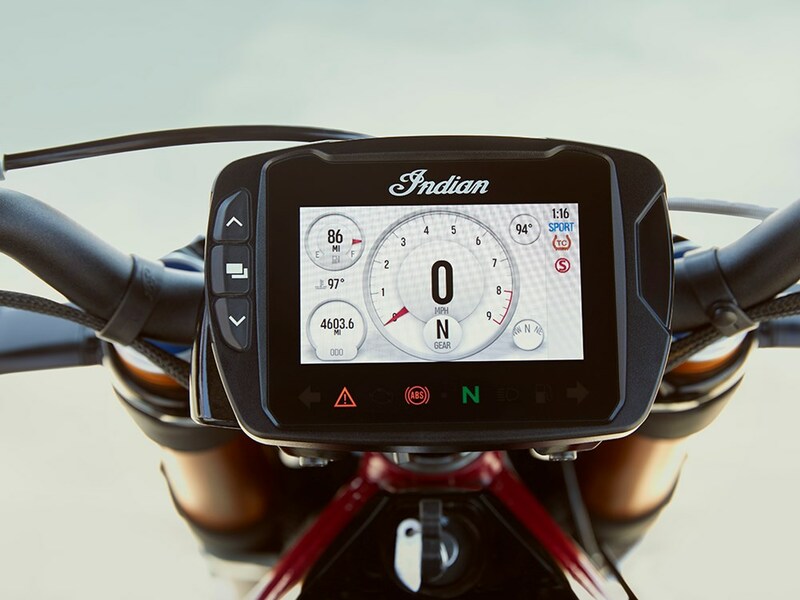 With all the hype for Scramblers and flat-trackers at the moment, it might be both a game changer and a very well timed bike from Indian.